Are you sick of "modern" medicine that has completely ruined your business? Are you someone who uses somewhat dubious methods to treat plague-infected people? Do you enjoy wearing bird masks? Then you need this Plague Doctor kit. 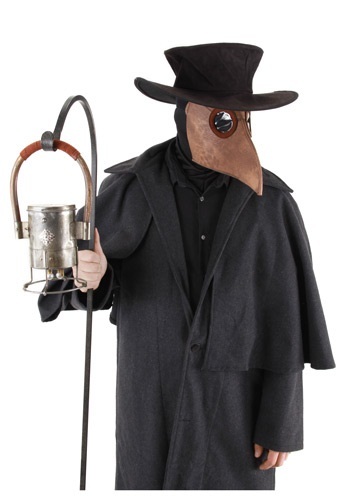 Not only is a plague doctor really creepy, they're also historically accurate. Walk around with your hood up, your top hat looking dapper, and your beaky mask over your face. Sure, you want to help sick people, but you certainly don't want to be getting sick yourself, right?